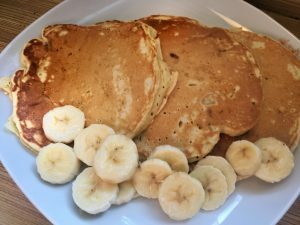 Banana Pancakes are an absolute favorite in our household on the weekends. I grew up eating Bisquit and Aunt Jamima pancakes almost every weekend, topped with Aunt Jamima syrup. 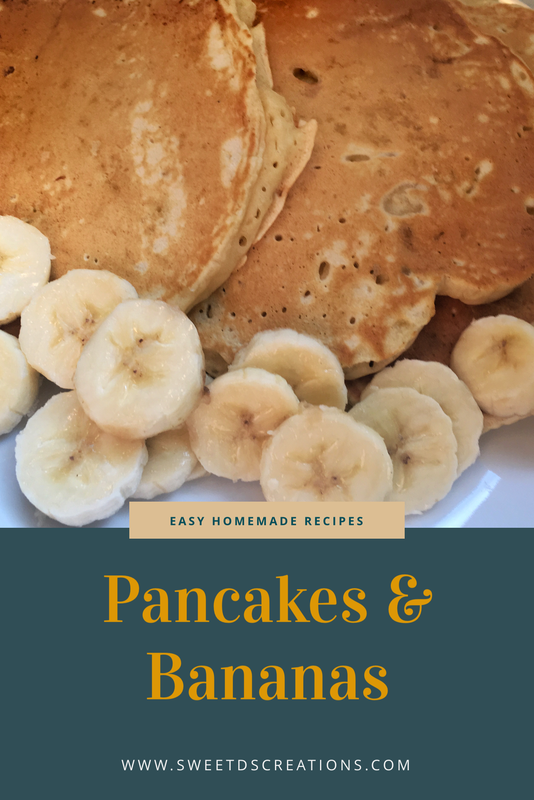 I later learned that making pancakes from scratch isn’t that difficult. Instead of using the flour from a box, you just have to measure flour, add baking soda, baking powder, and sugar. After reading the ingredients on the container of non-maple “syrups”, I now only use real maple syrup on my pancakes and waffles. You will start off having 2 bowls. One for dry ingredients and one for wet ingredients. Then you will add the wet ingredients to the dry ingredient bowl. 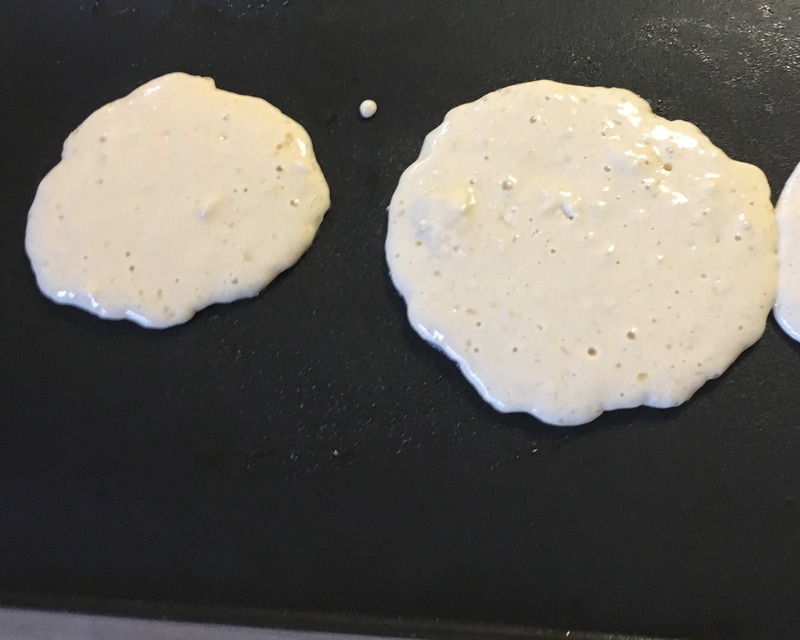 I scoop 1/2 cup batter on to my griddle. My griddle is heated to 400 degrees. Once bubbles start forming. Peek under pancake and flip. Heat griddle on high. Use vegetable oil, butter, or cooking spray on the pan to prevent sticking. 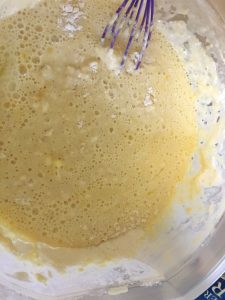 Add buttermilk, vanilla, and eggs to melted butter. Mix and set aside. In another bowl, combine flour, sugar, baking soda, baking powder, and salt. Mix together. In another bowl, mash banana. With a spoon, mix the wet and dry ingredients together in a big bowl. Add mashed banana. Don’t over mix. 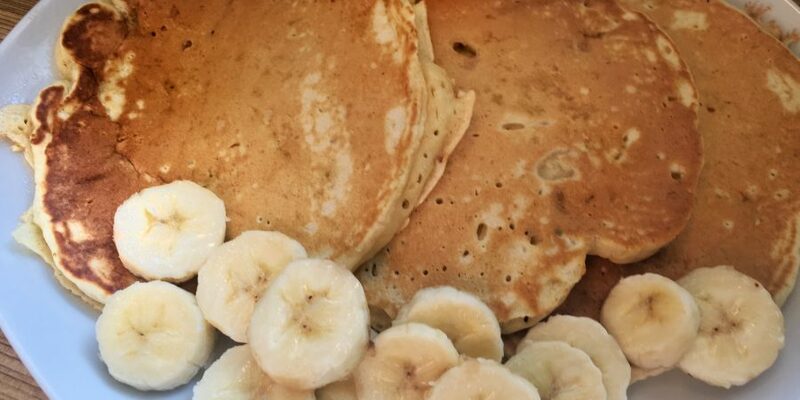 Using a 1/2 scoop or cup, put the batter on pan or griddle. 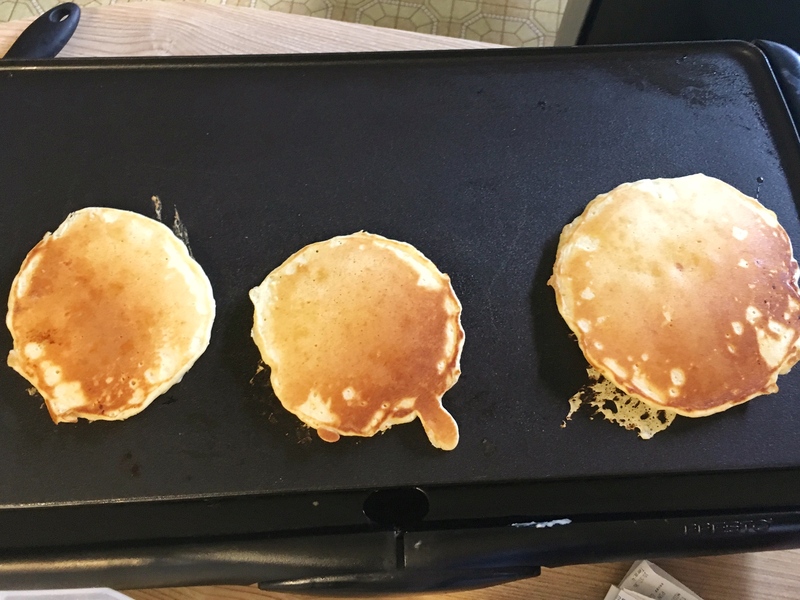 Flip pancake once circles begin to form. 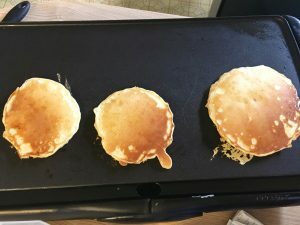 Always peak under the pancake prior to flipping. 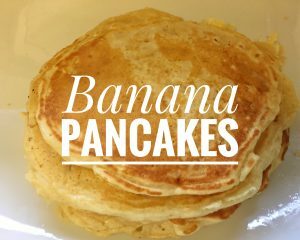 Top with fruit or maple syrup and enjoy!